Build your dream space with bespoke cabinets from Provence Brothers. High Quality, Stylish, Hand-made, Local. Provence Brothers is an established family-owned and run cabinetry business committed to excellence and customer satisfaction. Founded by brothers, the company has grown to include an extremely talented and skilled team, providing Perth residents with the highest quality cabinetry available. Provence Brothers specialise in the design, manufacture and installation of cabinetry for a range of spaces including the kitchen, laundry, bathroom, wardrobe and alfresco among others. Our professional team will work with you to ensure your cabinetry flows with the design of your home and is not only visually stunning, but practical. We go above and beyond in terms of service, managing the entire project for you (including liaising with the relevant tradespeople), and ensuring timelines and budgets are kept to. For more information on our services or to book a consultation, contact us today! At Provence Brothers, we are truly committed to providing the best quality in terms of our products and service. Quality is something that has become synonymous with Provence Brothers over the years, a fact we are committed to maintaining with every project we undertake. Our materials are sourced from reputable suppliers who are known for their quality, and our ongoing relationship with these suppliers ensures we’re getting the best of the best for your home. Our skilled team of cabinetmakers then crafts the raw materials in our Osborne Park factory specific to our clients’ needs. Our team has several years’ experience and are some of the most skilled cabinetmakers in Perth. We are incredibly proud of our team and the amazing custom pieces of cabinetry we create for our happy customers. We go above and beyond for our loyal customers and always ensure that they are more than satisfied with their custom cabinetry. Our holistic process ensures that we cover all bases including project management and liaising with you or your builder to ensure installation goes smoothly. All our tradespeople are highly regarded and respectful in your homes. For more information on our cabinet making services in Perth or to experience Provence Brothers quality for yourself, contact us today. Provence Brothers was founded to be a bespoke cabinetry solution specialist. All our materials are sourced locally from our long-time suppliers and transformed into your custom-made cabinetry in our Osborne Park factory. Because we are locally owned and our products are locally made, we can commit more time and attention to your design. From the digitally rendered 3D design images to the cutting and finishing of your cabinetry, it’s all done in our local factory to the highest of standards. We have a diverse team who are highly qualified and experienced and take immense pride in the work that they do and are passionate about the company. This has enabled us to deliver consistent quality to all our customers and ensures complete satisfaction. 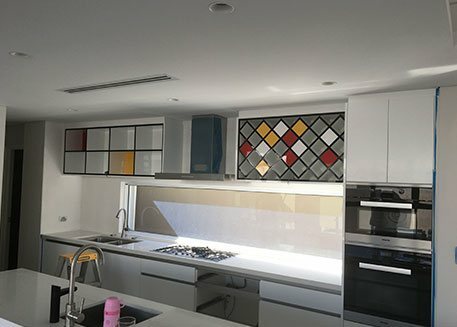 We are Perth locals, here to provide stunning and thoughtfully designed cabinetry for a variety of spaces in your home; we understand the value of good customer service and are committed to upholding our outstanding reputation. If you’re looking for a locally owned and operated custom cabinetmaker in Perth, look no further than Provence Brothers and contact us today! Provence Brothers is a family owned bespoke cabinet maker in Perth, Western Australia. Our focus is on building beautiful, luxurious cabinets that upgrade your lifestyle, and add value to your Perth home. With an emphasis on quality, and style, we can tailor a solution for any room in your home.